On 7 March 2017, the House of Commons Committee of Privileges announced a new inquiry into the exercise and enforcement of the powers of the House in relation to select committees and contempts of Parliament. Legislate to provide a statutory regime. The categorisation of these options is uncontentious and reflect those set out in an earlier paper by Richard Gordon QC and Amy Street, ‘Select Committees and Coercive Powers: Clarity or Confusion’, which was published by the Constitution Society in 2012; and those considered by the Joint Committee on Privilege in its report of 2013, ‘Parliamentary Privilege’ (at pp 16-27). The Clerk’s note explains much of the history, setting out the previous consideration of these issues by two Joint Committees on Privilege in 1999, and 2013, as well as a report of the Liaison Committee in 2012 (and a Government Green Paper which was published in the same year). Accordingly, these matters will not be rehearsed in any detail here. Instead, this short post focuses on the question of whether a codified, or statutory regime, policed by the courts, might result in an effective and fair system of enforcement. In addition to legislating, Parliament’s other primary function is holding the Government to account. Yet many of the questions that have arisen about Parliament’s powers of enforcement relate not to Ministers or officials, but rather to attempts to compel the attendance of private citizens (often the owners or representatives of companies). In his evidence, the Clerk rehearses a number of recent cases relating to Mike Ashley, News International and Sir Philip Green. An earlier case in 2010, involving the then Business Innovation and Skills Committee and the Chief Executive of Kraft, demonstrated one of the limitations on Committee powers in the international sphere. The committee’s reports, ‘Mergers, acquisitions and takeovers: the takeover of Cadbury by Kraft’ and ‘Is Kraft working for Cadburys?’ (which include extensive correspondence between the Committee and Kraft’s legal advisers) show the potential frustrations involved in dealing with individuals who operate outside the jurisdiction. It is here that some dangers may arise. While the freedom of speech of parliamentarians in parliamentary proceedings may be immunised against domestic legal proceedings under Article IX of the Bill of Rights 1688, two further issues are worthy of consideration. The first is reputational: if it is perceived that an actual or proposed witness has not been treated fairly. As the Joint Committee on Privilege observed in 2013, “Parliament itself would expect to comply with modern expectations of fairness and due process, which are very different to those which applied in the late nineteenth century.” The second is the question of how those obligations of due process and fairness could lead to any legal obligations, particularly under Article 6 of the European Convention on Human Rights (and how such obligations might be interpreted by the European Court of Human Rights). “Imprisonment has not been imposed in recent times and the same is true of the theoretical power to fine. Nor is it clear that Parliament is in a position to satisfy all the requirements of article 6 which apply when imposing penal sanctions – see Demicoli v Malta (1991) 14 EHRR 47.” (para 61). The recent report of the Committee of Privileges into the question of whether Colin Myler, Tom Crone, Les Hinton and News International misled the Culture, Media and Sport Select Committee during successive inquiries into privacy and phone-hacking demonstrates a careful, fair and considered response to allegations. However, one could equally envisage circumstances where a departmental or other select committee, seeking to compel attendance, or take evidence under oath, might be seen to act oppressively. In such circumstances, there is a risk (however inaccurate it might seem to those inside the institution) that Parliament would be seen to be acting as a judge in its own cause. On the last occasion that these issues were considered by the Joint Committee on Privilege (in 2013) that committee concluded: “the disadvantages of legislating to confirm Parliament’s penal powers outweigh the advantages” (para 75). It accordingly recommended against such legislation. When considering the question of legislation, it is worth revisiting some of the earlier legislative changes to parliamentary privilege. Two readily come to mind – the first, section 13 of the Defamation Act 1996, is no longer in force (see: A. Horne and O. Gay, ‘Ending the Hamilton Affair?’, U.K. Const. L. Blog (21 May 2014). The second relates to the legislation that allows for the prosecution of individuals who give false evidence under oath (currently the Perjury Act 1911). Interestingly, both of these examples were made via a form of implied repeal to the Bill of Rights 1688 (although unlike the Perjury Act 1911, section 13 of the 1996 Act at least clearly makes reference to “any enactment or rule of law which prevents proceedings in Parliament being impeached or questioned in any court or place out of Parliament.” However, any thought-provoking questions this raises about the possibility of impliedly amending constitutional statues will have to wait for another occasion. An earlier blog (A. Horne, ‘Evidence under oath, perjury and parliamentary privilege‘, U.K. Const. L. Blog (29 January 2015)) provides a fairly comprehensive history of the situation that pertained before the passage of the Perjury Act 1911. In short, historic versions of Erskine May illustrate that, prior to the 20th Century, the House of Commons appeared to have few qualms about using the courts to enforce allegations of perjury (indeed two examples are cited by the Supreme Court in the case of R v Chaytor  UKSC 52, para 82). While there is no evidence of any prosecutions following the passage of the 1911 Act, these earlier cases underline the point that there is no matter of principle which should exclude recourse to the courts for enforcement. In a chapter entitled ‘Politics, Law and Constitutional Moments in the UK’ (in D. Feldman (ed) Law in Politics, Politics in Law (Oxford: Hart, 2013), Professor Dawn Oliver made two relevant points. The first is that, in the last 30 years or so, more and more of the UK’s constitutional arrangements have come to be based in law and subject to judicial supervision (e.g. devolution, and the Human Rights Act). She argued that these inevitably involve the courts adjudicating on matters of a controversial and political nature and that they are trusted to do so impartially. The second is that constitutional change often takes place following what she describes as a ‘constitutional moment’. One example of this is where there is a crisis or scandal of some kind which may make reform seem more urgent. One could see this following the Parliamentary expenses scandal in 2009, which led to the creation of Independent Parliamentary Standards Authority; as well as some clarification by the courts of the limits of the exclusive cognisance of Parliament (see: R v Chaytor  UKSC 52, para 78). Urgent reforms, based on shifts in public opinion, do not necessarily result in stable outcomes. An earlier example was the immediate (albeit initially unsuccessful) attempt to abolish ‘trial by peers’, following the acquittal of Edward Russell (26th Baron de Clifford) in December 1935 (the diaries of Sir Henry ‘Chips’ Channon provide an illuminating, and presumably contemporaneous, summary of this particular incident). While acknowledging the downsides of a statutory system, a move to enact legislation, restricted to the question of enforcement, could have a number of positive aspects. First, it would provide clarity in the law. Second, it would ensure that efforts were made to punish an individual only in circumstances where there was an objective and ECHR compliant demonstration of fairness and due process: this would hopefully curb any capriciousness or oppressive conduct by individual committees. And finally, the process of drafting the necessary legislation, standing orders and other guidance would ensure for a more transparent system, which would be understood by witnesses (or at least their lawyers) and Clerks in Parliament alike. Given the increasing prominence of select committees in public life, these are matters of significant constitutional importance. Accordingly, interested academics should be encouraged to engage with the current inquiry by the Committee of Privileges. The deadline for submissions of evidence is Tuesday 18 April at noon (full details can be found here). 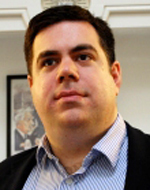 Alexander Horne is Deputy Legal Adviser to the Joint Committee on Human Rights and a teaching fellow at University College London. This post is written in his personal capacity. It seems to me to be time to improve the ability of these hearings to obtain truthful open responses from those individuals they require to hear from, including attendance when not unreasonably required. It would also be helpful that any undertakings given in the course of such hearings have legal force, i.e. If the individual making the undertaking does not complete it then there is recourse to oblige completion of the undertaking. For example, perhaps Green’s undertaking to put the BHS group’s pension fund right (or words to that effect). And it will be beneficial to put measures in place to ensure the hearings give due respect to the individual/individual’s rights. MPs need to behave with a measure of control. Perhaps they will need some sitting expertise to help …. So, I conclude I’m in favour of the third option. This entry was posted on March 23, 2017 by Constitutional Law Group in UK Parliament and tagged Contempt of Parliament, House of Commons Committee of Privileges, select committees.